1. § Az Országgyűlés a Kormány előterjesztésére a Magyar Köztársaságnak az afrikai-eurázsiai vándorló vízimadarak védelméről szóló, Hágában, 1995. június 16-án aláírt nemzetközi megállapodáshoz (a továbbiakban: Megállapodás) történő csatlakozását - a 3. §-ban foglalt szövegű fenntartással - e törvénnyel kihirdeti. 1. The geographic scope of this Agreement is the area of the migration systems of African-Eurasian waterbirds, as defined in Annex 1 to this Agreement, hereafter referred to as the „Agreement Area”. f) „Parties present and voting” means the Parties present and casting an affirmative or negative vote; those abstaining from voting shall not be counted amongst the Parties present and voting. In addition, the terms defined in Article I, subparagraphs 1. a) to k), of the Convention shall have the same meaning, mutatis mutandis, in this Agreement. 2. a) Each Party shall contribute to the budget of the Agreement in accordance with the United Nations scale of assessment. The contributions shall be restricted to a maximum of 25 per cent of the total budget for any Party that is a Range State. No regional economic integration organization shall be required to contribute more than 2.5. per cent of the administrative costs. 4. The United Nations, its Specialized Agencies, the International Atomic Energy Agency, any State not a Party to the Agreement, and the secretariats of international conventions concerned inter alia with the conservation, including protection and management, of migratory waterbirds may be represented by observers in sessions of the Meeting of the Parties. Any agency or body technically qualified in such conservation matters or in research on migratory waterbirds may also be represented at sessions of the Meeting of the Parties by observers, unless at least one third of the Parties present object. The boundary of the Agreement area is defined as follows: from the North Pole south along the 130°W line of longitude to 75°N; thence east and southeast through Viscount Melville Sound, Prince Regent Inlet, the Gulf of Boothia, Foxe Basin, Foxe Channel and Hudson Strait to a point in the northwest Atlantic at 60°N, 60°W; thence southeast through the northwest Atlantic to a point at 50°N, 30°W; thence south along the 30°W line of longitude to 10°N; thence southeast to the Equator at 20°W; thence south along the 20°W line of longitude to 40°S; thence east along the 40°S line of latitude to 60°E; thence north along the 60°E line of longitude to 35°N; thence east-northeast on a great circle to a point in the western Altai at 49°N, 87°27’E; thence northeast on a great circle to the coast of the Arctic Ocean at 130°E; thence north along the 130°E line of longitude to the North Pole. The outline of the Agreement Area is illustrated on the following map. 1.1. The Action Plan is applicable to the populations of migratory waterbirds listed in Table 1 to this Annex (hereafter referred to as ”Table 1„). 1.2. Table 1 forms an integral part of this Annex. Any reference to this Action Plan includes a reference to Table 1. 2.2.1. Parties shall cooperate with a view to developing and implementing international single species action plans for populations listed in Category 1 of Column A of Table 1 as a priority and for those populations listed with an asterisk in Column A of Table 1. The Agreement secretariat shall coordinate the development, harmonization and implementation of such plans. 2.2.2. Parties shall prepare and implement national single species action plans for the populations listed in Column A of Table 1 with a view to improving their overall conservation status. This action plan shall include special provisions for those populations marked with an asterisk. When appropriate, the problem of accidental killing of birds by hunters as a result of incorrect identification of the species should be considered. 2.5.1. Parties shall, if they consider it necessary, prohibit the introduction of non-native species of animals and plants which may be detrimental to the populations listed in Table 1. 2.5.2. Parties shall, if they consider it necessary, require the taking of appropriate precautions to avoid the accidental escape of captive birds belonging to non-native species. 2.5.3. Parties shall take measures to the extent feasible and appropriate, including taking, to ensure that when non-native species or hybrids thereof have already been introduced into their territory, those species or their hybrids do not pose a potential hazard to the populations listed in Table 1. 3.2.1. Parties shall endeavour to continue establishing protected areas to conserve habitats important for the populations listed in Table 1, and to develop and implement management plans for these areas. 3.2.2. Parties shall endeavour to give special protection to those wetlands which meet internationally accepted criteria of international importance. 4.1.1. Parties shall cooperate to ensure that their hunting legislation implements the principle of sustainable use as envisaged in this Action Plan, taking into account the full geographical range of the waterbird populations concerned and their life history characteristics. 4.1.2. The Agreement secretariat shall be kept informed by the Parties of their legislation relating to the hunting of populations listed in Table 1. 4.1.3. Parties shall cooperate with a view to developing a reliable and harmonized system for the collection of harvest data in order to assess the annual harvest of populations listed in Table 1. They shall provide the Agreement secretariat with estimates of the total annual take for each population, when available. 4.1.4. Parties shall endeavour to phase out the use of lead shot for hunting in wetlands by the year 2000. 4.1.5. Parties shall develop and implement measures to reduce, and as far as possible eliminate, the use of poisoned baits. 4.1.6. Parties shall develop and implement measures to reduce, and as far as possible eliminate, illegal taking. 4.1.7. Where appropriate, Parties shall encourage hunters, at local, national and international levels, to form clubs or organizations to coordinate their activities and to help ensure sustainability. 4.1.8. Parties shall, where appropriate, promote the requirement of a proficiency test for hunters, including among other things, bird identification. 4.2.1. Parties shall encourage, where appropriate but not in the case of core zones of protected areas, the elaboration of cooperative programmes between all concerned to develop sensitive and appropriate eco-tourism at wetlands holding concentrations of populations listed in Table 1. 4.2.2. Parties, in cooperation with competent international organisations, shall endeavour to evaluate the costs, benefits and other consequences that can result from eco-tourism at selected wetlands with concentrations of populations listed in Table 1. They shall communicate the results of any such evaluations to the Agreement secretariat. 4.3.1. Parties shall assess the impact of proposed projects which are likely to lead to conflicts between populations listed in Table 1 that are in the areas referred to in paragraph 3.2. and human interests, and shall make the results of the assessment publicly available. 4.3.2. Parties shall endeavour to gather information on the damage, in particular to crops and to fisheries, caused by populations listed in Table 1, and report the results to the Agreement secretariat. 4.3.3. Parties shall cooperate with a view to identifying appropriate techniques to minimize damage, or to mitigate the effects of damage, in particular to crops and to fisheries, caused by populations listed in Table 1, drawing on the experience gained elsewhere in the world. 4.3.4. Parties shall cooperate with a view to developing single species action plans for populations which cause significant damage, in particular to crops and to fisheries. The Agreement secretariat shall coordinate the development and harmonization of such plans. 4.3.5. Parties shall, as far as possible, promote high environmental standards in the planning and construction of structures to minimize their impact on populations listed in Table 1. They should consider steps to minimize the impact of structures already in existence where it becomes evident that they constitute a negative impact for the populations concerned. 4.3.6. In cases where human disturbance threatens the conservation status of waterbird populations listed in Table 1, Parties should endeavour to take measures to limit the level of threat. Special attention should be given to problem of human disturbance at breeding colonies of colonially-nesting waterbirds, especially when thee are situated in the areas which are popular for outdoor recreation. Appropriate measures might include, inter alia, the establishment of disturbance-free zones in protected areas where public access is not permitted. 5.2. Parties shall endeavour to monitor the populations listed in Table 1. The results of such monitoring shall be published or sent to appropriate international organizations, to enable reviews of population status and trends. 5.3. Parties shall cooperate to improve the measurement of bird population trends as a criterion for describing the status of such populations. 5.4. Parties shall cooperate with a view to determining the migration routes of all populations listed in Table 1, using available knowledge of breeding and non-breeding season distributions and census results, and by participating in coordinated ringing programmes. 5.5. Parties shall endeavour to initiate and support joint research projects into the ecology and population dynamics of populations listed in Table 1 and their habitats, in order to determine their specific requirements as well as the techniques which are the most appropriate for their conservation and management. 5.6. Parties shall endeavour to undertake studies on the effects of wetland loss and degradation and disturbance on the carrying capacity of wetlands used by the populations listed in Table 1 and on the migration patterns of such populations. 5.7. Parties shall endeavour to undertake studies on the impact of hunting and trade on the populations listed in Table 1 and on the importance of these forms of utilization to the local and national economy. 5.8. Parties shall endeavour to cooperate with relevant international organisations and to support research and monitoring projects. 7.5. The Agreement secretariat shall endeavour to ensure that the reviews mentioned in paragraph 7.4. are updated at intervals of not more than three years. 7.6. The Technical Committee shall assess the guidelines and reviews prepared under paragraphs 7.3. and 7.4., and shall formulate draft recommendations and resolutions relating to their development, content and implementation for consideration at sessions of the Meeting of the Parties. 7.7. The Agreement secretariat shall regularly undertake a review of potential mechanisms for providing additional resources (funds and technical assistance) for the implementation of this Action Plan, and shall make a report to each ordinary session of the Meeting of the Parties. d) Showing extreme fluctuations in population size or trend. For species listed in categories 2 and 3 above, see paragraph 2.1.1. of the Action Plan contained in Annex 3 to the Agreement. Category 1: Populations numbering more than around 100,000 individuals which could significantly benefit from international cooperation and which do not fulfil the conditions in respect of either column A or column B, above. b) Amended as necessary by the Meeting of the Parties, in accordance with Article VI, paragraph 9. d) of the Agreement, in light of the conclusions of such reviews. North Africa Algeria, Egypt, the Libyan Arab Jamahiriya, Morocco, Tunisia. West Africa Benin, Burkina Faso, Cameroon, Chad, Cőte d’Ivoire, the Gambia, Ghana, Guinea, Guinea-Bissau, Liberia, Mali, Mauritania, Niger, Nigeria, Senegal, Sierra Leone, Togo. Eastern Africa Burundi, Djibouti, Eritrea, Ethiopia, Kenya, Rwanda, Somalia, Sudan, Uganda, the United Republic of Tanzania. North-east Africa Djibouti, Egypt, Eritrea, Ethiopia, Somalia, Sudan. Southern Africa Angola, Botswana, Lesotho, Malawi, Mozambique, Namibia, South Africa, Swaziland, Zambia, Zimbabwe. Central Africa Cameroon, Central African Republic, Congo, Democratic Republic of the Congo, Equatorial Guinea, Gabon, Sao Tome and Principe. Sub-Saharan Africa All African states south of the Sahara. Tropical Africa Sub-Saharan Africa excluding Lesotho, Namibia, South Africa and Swaziland. Western Palearctic As defined in Handbook of the Birds of Europe, the Middle East and North Africa (Cramp & Simmons 1977). North-west Europe Belgium, Denmark, Finland, France, Germany, Iceland, Ireland, Luxembourg, the Netherlands, Norway, Sweden, the United Kingdom of Great Britain and Northern Ireland. Western Europe North-west Europe with Portugal and Spain. North-east Europe The northern part of the Russian Federation west of the Urals. Eastern Europe Belarus, the Russian Federation west of the Urals, Ukraine. Central Europe Austria, the Czech Republic, Estonia, Germany, Hungary, Latvia, Liechtenstein, Lithuania, Poland, the Russian Federation around the Gulf of Finland and Kaliningrad, Slovakia, Switzerland. North Atlantic Faroes, Greenland, Iceland, Ireland, Norway, the north-west coast of the Russian Federation, Svalbard, the United Kingdom of Great Britain and Northern Ireland. 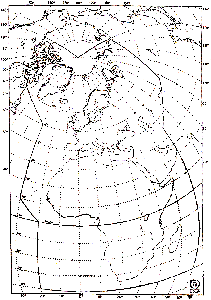 East Atlantic Atlantic seaboard of Europe and North Africa from northern Norway to Morocco. Western Siberia The Russian Federation east of the Urals to the Yenisey River and south to the Kazakhstan border. Central Siberia The Russian Federation from the Yenisey River to the eastern boundary of the Taimyr Peninsula and south to the Altai Mountains. West Mediterranean Algeria, France, Italy, Malta, Monaco, Morocco, Portugal, San Marino, Spain, Tunisia. East Mediterranean Albania, Bosnia and Herzegovina, Croatia, Cyprus, Egypt, Greece, Israel, Lebanon, the Libyan Arab Jamahiriya, Slovenia, the Syrian Arab Republic, The Former Yugoslav Republic of Macedonia, Turkey, Yugoslavia. Black Sea Armenia, Bulgaria, Georgia, Republic of Moldova, Romania, the Russian Federation, Turkey, Ukraine. Caspian Azerbaijan, Iran (Islamic Republic of), Kazakhstan, the Russian Federation, Turkmenistan, Uzbekistan. South-west Asia Bahrain, Iran (Islamic Republic of), Iraq, Israel, Jordan, Kazakhstan, Kuwait, Lebanon, Oman, Qatar, Saudi Arabia, the Syrian Arab Republic, eastern Turkey, Turkmenistan, the United Arab Emirates, Uzbekistan, Yemen. Western Asia Western parts of the Russian Federation east of the Urals and the Caspian countries. Central Asia Afghanistan, Kazakhstan, Kyrgyzstan, Tajikistan, Turkmenistan, Uzbekistan. Southern Asia Bangladesh, Bhutan, India, Maldives, Nepal, Pakistan, Sri Lanka. () Population status unknown. Conservation status estimated. * By way of exception for those populations marked by an asterisk, hunting may continue on a sustainable use basis where hunting of such populations is a long-established cultural practice (see paragraph 2.1.1. of Annex 3 to the Agreement). 3. The brief descriptions used to identify the populations are based on the descriptions used in the third edition of Waterbird Population Estimates. 5. Where a species’ population is listed in Table 1 with multiple categorisation, the obligations of the Action Plan relate to the strictest category listed. 1. A Megállapodás hatálya alá területileg az afrikai-eurázsiai vízimadarak vonulási rendszerének az a területe tartozik (a továbbiakban: a „Megállapodás területe”), melyet az 1. Melléklet határoz meg. f) Jelenlévő és szavazó Felek: csak azokat a jelenlevő feleket jelenti, amelyek igennel vagy nemmel szavaznak; a szavazástól tartózkodók nem számítanak a jelenlevő szavazó felek közé. A továbbiakban az Egyezmény 1. Cikk 1. a)-k) pontjaiban meghatározott kifejezések a Megállapodásban a szükséges változtatásokkal együtt ugyanazt jelentik. 3. A Megállapodás az Egyezmény 4. Cikk 3. pontja szerinti megállapodás. 4. A Megállapodás mellékletei annak szerves részét képezik. A Megállapodásra való bármely hivatkozás annak mellékleteire is utal. 1. A Felek koordinált intézkedéseket tesznek, hogy a vándorló vízimadárfajok kedvező védelmi helyzetét megőrizzék vagy helyreállítsák. E célból alkalmazzák - nemzeti jogszabályaik határain belül - a Megállapodás 3. Cikkében leírt intézkedéseket, összhangban a 4. cikkben említett Cselekvési Tervben pontosan meghatározott tevékenységekkel. 2. Az 1. bekezdésben előírt intézkedések végrehajtása során a Felek figyelembe veszik az elővigyázatosság elvét. 1. A Felek lépéseket tesznek a vándorló vízimadárfajok védelmére, különös figyelmet fordítanak a veszélyeztetett fajokra és azokra, melyek kedvezőtlen védelmi helyzetben vannak. l) együttműködnek a Megállapodás végrehajtásában, egymást támogatva, különösen a kutatás és monitorozás területén. 2. A védelmi irányelvek figyelembevételével a Cselekvési Tervet a Felek minden rendes találkozóján felül kell vizsgálni. 3. A Cselekvési Terv bármilyen módosítását a Felek Találkozója fogadja el, figyelembe véve a Megállapodás 3. Cikkének előírásait. 4. A védelmi irányelveket a Felek Találkozójának első ülésére kell előterjeszteni elfogadásra, majd rendszeresen felül kell vizsgálni. c) a Felek Találkozójának minden rendes ülésére - a második üléstől kezdődően - jelentést állít össze a Megállapodás végrehajtásáról, különösen a vállalt védelmi intézkedésekkel kapcsolatban. A jelentések formátumát a Felek Találkozója első ülése határozza meg és amennyiben szükséges, a következő üléseken felülvizsgálják. A jelentést legalább százhúsz nappal a rendes ülés előtt megküldik a Titkárságnak, amely a másolatokat azonnal továbbítja a többi Fél felé. 2. a) Minden Fél hozzájárul a Megállapodás költségvetéséhez az ENSZ költségvetési hozzájárulás alapján. Az egyes Felek maximális hozzájárulásának mértéke nem haladhatja meg a teljes költségvetés 25%-át. Regionális gazdasági integrációs szervezetnek az adminisztratív költségek legfeljebb 2,5%-át kell fizetniük. b) A Felek a költségvetést beleértve a hozzájárulás mértékének esetleges megváltoztatását egyhangú döntéssel fogadják el. 3. A Felek Találkozója a Felek önkéntes hozzájárulásából vagy bármilyen más forrásból védelmi alapot hozhat létre a vándorló vízimadárfajok megőrzésével kapcsolatos monitorozás, kutatás, képzés, továbbá a védelmet és a kezelést célzó programok pénzügyi támogatása céljából. 4. A Feleket a Megállapodás arra buzdítja, hogy támogassanak két- és többoldalú megállapodások révén más Feleket továbbképzéssel, technikai és anyagi támogatás formájában a Megállapodás előírásainak végrehajtása céljából. 1. A Megállapodás döntéshozó testülete a Felek Találkozója. 2. A Letéteményesnek, az Egyezmény Titkárságával egyeztetve, a Megállapodás hatálybalépésétől számított egy éven belül összehívják a Felek Találkozójának első ülését. Ezt követően a Megállapodás Titkársága, az Egyezmény Titkárságával egyeztetve, legkésőbb háromévenként összehívja a Felek Találkozóját, hacsak az nem dönt másképpen. Amennyiben lehetséges, ezeket az üléseket az Egyezmény rendes konferenciájával együtt tartják meg. 3. A Felek legalább egyharmadának írásos kérésére a Megállapodás Titkárságának rendkívüli ülést kell összehívnia. 4. Az ENSZ és szakosított szervei, a Nemzetközi Atomenergia Ügynökség, bármely állam, amely nem tagja a Megállapodásnak, valamint - egyebek mellett - a vándorló vízimadarak megőrzésében, védelmében és kezelésében is érintett nemzetközi egyezmények titkárságai megfigyelők útján részt vehetnek a Felek Találkozójának ülésein. Ezeken az üléseken szintén képviseltetheti magát bármely szervezet vagy testület, amely ilyen jellegű védelmi tevékenységgel vagy a vándorló vízimadarak kutatásával foglalkozik, kivéve, ha a Felek legalább egyharmada ezt ellenzi. 5. Csak a Feleknek van szavazati joga. Mindegyik Fél egy szavazattal rendelkezik, de a regionális gazdasági integrációs szervezetek, amelyek tagjai a Megállapodásnak, az őket illető ügyekben annyi szavazattal bírnak, ahány tagállamuk tagja a Megállapodásnak. Regionális gazdasági integrációs szervezetnek nincsen szavazati joga, amennyiben azt a saját tagállamai gyakorolják. Fordított viszonylatban ugyanez érvényes. 6. Amennyiben a Megállapodás nem rendelkezik másképpen, úgy a Felek Találkozójának döntéseit közmegegyezéssel kell elfogadni, vagy ha ez nem érhető el, akkor a jelenlevő és szavazó Felek kétharmados többségével. e) elfogadja azon rendkívüli helyzeteknek a meghatározó kritériumait, melyek sürgős védelmi intézkedéseket igényelnek, és meghatározza az elvégzendő tevékenységekhez kapcsolódó felelősségviselés módjait. f) meghatározza a következő ülés idejét és helyszínét. f) dönthetnek bármilyen más ügyekben, amelyek a Megállapodás végrehajtásához kapcsolódnak. c) egy-egy szakértő a következő területekről: agrárközgazdaság, vadgazdálkodás és környezetvédelmi jog. A Felek Találkozója fogja meghatározni a szakértők jelölési eljárását, kinevezésük időtartamát és a Technikai Bizottság elnökének jelölési eljárását. Az elnök legfeljebb négy megfigyelő részvételét engedélyezheti a különböző nemzetközi kormányzati és nem-kormányzati szervezetekből. 2. Amennyiben a Felek Találkozója nem dönt másképp, a Technikai Bizottság üléseit a Megállapodás Titkársága hívja össze a Felek Találkozójának rendes ülésével egyidejűleg, továbbá legalább egyszer a rendes ülések közötti időszakban. d) végrehajtja a Felek Találkozója által rábízott bármely más feladatot. 4. Amennyiben a Technikai Bizottság véleménye szerint olyan rendkívüli helyzet áll elő, hogy egy vagy több vízimadárfaj védelmi helyzete romlásának elkerülése végett sürgős intézkedések elfogadására van szükség, a Technikai Bizottság kérheti a Megállapodás Titkárságát az érintett Felek azonnali összehívására. Ezek a Felek a lehető leghamarabb találkoznak, hogy a különösen veszélyeztetett fajok érdekében gyors védelmi programot dolgozzanak ki. Amennyiben egy ilyen találkozón elfogadnak egy ajánlást, az érintett Feleknek tájékoztatják egymást és a Megállapodás Titkárságát a megtett intézkedésekről vagy az elmaradt intézkedés okáról. 5. A Technikai Bizottság szükség esetén felállíthat munkacsoportokat különleges feladatok teljesítésére. k) egyéb, a Megállapodás vagy a Felek Találkozója által rábízott feladatok végrehajtása. c) a vándorló vízimadarak és élőhelyeik megőrzésében, beleértve a védelmet és a kezelést is, valamint a kutatás, oktatás és ismeretterjesztés területén illetékes egyéb szervezeteket. 1. Ez a Megállapodás a Felek Találkozójának bármely rendes vagy rendkívüli ülése által módosítható. 2. Módosító javaslatot bármely Fél tehet. 3. Bármely javasolt módosítás szövegét az indoklással együtt legalább százötven nappal az ülés kezdete előtt el kell juttatni a Megállapodás Titkárságára. A Titkárság azok másolatait azonnal továbbítja a Feleknek. A Feleknek hozzászólásaikat legalább hatvan nappal az ülés kezdete előtt kell benyújtaniuk a Titkárságra. A Titkárság a határidő lejárta után a lehető leghamarabb továbbítja a Feleknek az addig a napig beérkezett hozzászólásokat. 4. A Megállapodás Mellékleteit nem érintő módosításokat a jelenlevő és szavazó Felek kétharmados többségével lehet elfogadni. A módosítások harminc nappal azt követően lépnek hatályba az őket elfogadó Felek számára, hogy a Felek kétharmada az elfogadási okiratot letétbe helyezte. Bármely Fél részére, amelyik az elfogadási okiratot azt követően helyezi letétbe, hogy a Felek kétharmada már letétbe helyezte azt, a módosítás a letétbe helyezését követő harmincadik napon lép életbe. 5. Bármely további Melléklet vagy egy Melléklet módosítása a jelenlevő és szavazó Felek kétharmados többségével fogadható el, majd valamennyi Fél számára a kilencvenedik napon lép hatályba azt követően, hogy a Felek Találkozója azt elfogadta, kivéve azokat a Feleket, amelyek e Cikk 6. pontjának megfelelően fenntartással élnek. 6. E Cikk 5. pontjában meghatározott kilencvennapos időszak alatt bármely Fél a letéteményeshez intézett írásos értesítés útján fenntartással élhet egy újabb Melléklettel vagy egy Melléklet módosításával kapcsolatban. Ezek a fenntartások a letéteményeshez intézett írásos értesítés útján bármikor visszavonhatók és ezt követően a Melléklet vagy a módosítás az adott Fél számára a fenntartás visszavonását követő harmincadik napon lép hatályba. 1. A Megállapodás rendelkezései nem érintik a Feleknek más nemzetközi szerződésből, egyezményből vagy megállapodásból származó jogait vagy kötelezettségeit. 2. A Megállapodás rendelkezései semmilyen módon nem érintik a Felek jogát szigorúbb intézkedések fenntartására vagy elfogadására a vándorló vízimadarak és élőhelyeik megőrzésével kapcsolatban. 1. Bármely vitát, amely kettő vagy több Fél között a Megállapodás rendelkezéseinek értelmezése vagy alkalmazása kérdésében felmerülhet, a vitában érintett Felek közötti tárgyalás útján kell rendezni. 2. Ha a vita e cikk 1. pontjának megfelelően nem oldható meg, a Felek közös megegyezéssel a vitát választottbíróság elé terjeszthetik, elsősorban a Hágában székelő Állandó Választottbíróság elé. A választottbírósági határozat a Felekre nézve kötelező. b) ratifikálás, elfogadás vagy jóváhagyás fenntartásával, amelyet a ratifikálás, elfogadás vagy jóváhagyás követ. 2. A Megállapodás addig a napig marad nyitva aláírásra Hágában, amíg hatályba nem lép. 3. A Megállapodás, annak hatálybalépése napjától, az 1. pontnak megfelelően bármely elterjedési területet érintő állam, illetve regionális gazdasági integrációs szervezet számára csatlakozásra nyitva áll. 4. A ratifikációs, elfogadási vagy csatlakozási okiratot a Letéteményesnél kell letétbe helyezni. 1. A Megállapodás a legalább tizennegyedik - és ezen belül legalább hét afrikai és legalább hét eurázsiai - a Megállapodás területét érintő államnak vagy regionális gazdasági integrációs szervezetnek, a Megállapodás 13. Cikke szerinti fenntartás nélküli aláírását vagy a ratifikációs, elfogadási, jóváhagyási okirat letétbe helyezését követő harmadik hónap első napján lép életbe. a Megállapodáshoz, az adott állam vagy regionális gazdasági integrációs szervezet fenntartás nélküli aláírását vagy a ratifikációs, elfogadási, jóváhagyási, csatlakozási okirat letétbe helyezését követő harmadik hónap első napján lép életbe. A Megállapodás rendelkezéseivel kapcsolatban nem lehet általános fenntartással élni. Bármely állam vagy regionális gazdasági integrációs szervezet a fenntartás nélküli aláíráskor vagy a ratifikációs, elfogadási, jóváhagyási, csatlakozási okirat letétbe helyezésekor különleges fenntartást tehet a Megállapodás által érintett bármely faj esetében vagy a Cselekvési Terv bármely különleges rendelkezése tekintetében. A fenntartásokat a Letéteményeshez intézett írásbeli értesítés útján a fenntartással élő állam vagy regionális gazdasági integrációs szervezet bármikor visszavonhatja; az adott állam vagy szervezet számára a visszavonást követő harmincadik nap után szűnik meg a fenntartás hatálya az érintett rendelkezéssel kapcsolatban. A Megállapodást bármely Fél bármikor a Letéteményeshez intézett írásos értesítés útján felmondhatja. A felmondás tizenkét hónappal azt követően lép hatályba, hogy a letéteményes az értesítést megkapta. 1. A Megállapodás eredeti példányát, amely angol, arab, francia és orosz nyelven készült, és mindegyik változata egyaránt hiteles, a Letéteményesnél, azaz a Holland Királyság kormányánál helyezik letétbe. A Letéteményes mindegyik változatból hitelesített másolatot küld minden, a 13. Cikk 1. bekezdése szerinti aláíró államnak és regionális gazdasági integrációs szervezetnek, valamint létrejöttét követően a Megállapodás Titkárságának. 2. Amint a Megállapodás hatályba lép, annak hitelesített másolatát a Letéteményes megküldi az ENSZ Titkárságának az ENSZ Alapokmánya 102. Cikke szerinti bejegyzés és közzététel céljából. A Letéteményes minden aláíró és csatlakozó államnak, regionális gazdasági integrációs szervezetnek és a Megállapodás Titkárságának megküldi a fenntartások, a további Mellékletek, a Megállapodás vagy annak Mellékletei módosításainak szövegét. Ennek hiteléül a meghatalmazottak a Megállapodást aláírták. Kelt Hágában, 1995. év június hó 16. napján. A Megállapodás területi határai a következők: az Északi Sarktól dél felé a 130° Ny hosszúságon a 75° É szélességig; azt követően kelet, délkelet felé az Atlanti-óceán északnyugati részén a 60° É-60° Ny pontig a következő főbb területeket érintve: Viscount Melville Sound, Prince Regent Inlet, Boothiai-öböl, Foxe-öböl, Foxe-csatorna és Hudson-szoros; azután délkelet felé át az Atlanti-óceán északnyugati részén az 50° É-30° Ny pontig; a 30° Ny hosszúságon a 10° É szélességig; délkelet felé a 20° Ny hosszúságon az Egyenlítőig; dél felé a 20° Ny hosszúságon a 40° D szélességig; kelet felé a 40° D szélességen a 60° K hosszúságig; észak felé a 60° K hosszúságon a 35° É szélességig; kelet-északkelet felé nagy ívben a Nyugat-Altaj 49° É-87° 27’ K pontjáig; északkelet felé nagy ívben Jeges-tenger partjáig a 130° K-nál; észak felé a 130° K hosszúságon az Északi Sarkig. A Megállapodás területének vázlatos képét a következő térkép ábrázolja. 1.1. A Cselekvési Terv ezen Mellékletnek az 1. számú táblázatában (a továbbiakban: 1. táblázat) felsorolt vándorló vízimadarak populációira alkalmazandó. 1.2. Az 1. táblázat e Mellékletnek szerves részét képezi. A Cselekvési Tervre vonatkozó bármely hivatkozás egyúttal az 1. táblázatra való hivatkozást is jelenti. c) megtiltják azon madarak és tojások birtoklását, hasznosítását és kereskedelmét, amelyeket a fenti a) bekezdésben foglaltak dacára zsákmányoltak; ugyanez vonatkozik az ilyen madarak és tojások bármely könnyen felismerhető részére vagy származékára. Azok a populációk, amelyek az A oszlop 2. vagy 3. csoportjába tartoznak és csillaggal vannak jelölve, a fenntartható használat elvét követve vadászhatók, feltéve, hogy ezen populációk vadászatának régmúltra visszatekintő hagyománnyal rendelkezik. Ezt a fenntartható használatot egy megfelelő nemzetközi szintű, adott fajra vonatkozó Cselekvési Terv speciális rendelkezéseinek keretén belül kell folytatni. d) azon madarak és tojások birtoklásának, hasznosításának és kereskedelmének megtiltása, amelyeket ezen bekezdésben foglaltak ellenében zsákmányoltak; ugyanez vonatkozik ezen madarak és tojásaik bármely részére is. e) az érintett populációk szaporodási vagy túlélési esélyeinek fokozása. A kivételeknek mind tartalmát, mind pedig térbeli és időbeli korlátait pontosan meg kell határozni, és azok nem veszélyeztethetik az 1. táblázatban felsorolt populációkat. A Feleknek a lehető leghamarabb tájékoztatnia kell a Megállapodás Titkárságát bármilyen ezen előírás alapján nyújtott kivételről. 2.2.1. A Felek soron kívül együttműködnek nemzetközi szintű, egyes fajokra vonatkozó cselekvési tervek kidolgozásában és azok végrehajtásában az 1. táblázat A oszlopának 1. csoportjába tartozó populációk esetében, valamint az A oszlop csillaggal jelölt populációi esetében. E cselekvési tervek kidolgozását, összehangolását és végrehajtását a Megállapodás Titkársága koordinálja. 2.2.2. A Felek az 1. táblázat A oszlopában felsorolt populációkra az országos szintű cselekvési terveket azzal a céllal készítik el és hajtják végre, hogy e populációk általános védelmi helyzete javuljon. E cselekvési terveknek a csillaggal jelölt populációk esetében különleges előírásokat tartalmaznak. Szükséges esetben figyelembe veszik az egyes fajok összetévesztése miatt bekövetkező véletlen elejtésből adódó problémákat. Ha a Megállapodás által érintett területen bárhol az 1. táblázatban felsorolt populációkra különösen kedvezőtlen vagy veszélyeztető jelenségek lépnek fel, a Felek rendkívüli intézkedéseket dolgoznak ki és valósítanak meg; amennyire lehetséges és szükséges, egymással szoros együttműködésben. A Felek a legnagyobb körültekintéssel járnak el, amikor az 1. táblázatban felsorolt populációkat korábbi elterjedési területükre telepítik vissza. Olyan részletes visszatelepítési terv kidolgozására, majd annak megvalósítására kell törekedni, amely megfelelő tudományos kutatásokon alapul. Ajánlatos, hogy a visszatelepítési tervek képezzék szerves részét mind az országos szintű, mind pedig - szükséges esetben - a nemzetközi szintű, az egyes fajokra vonatkozó cselekvési terveknek. Ajánlatos továbbá, hogy a visszatelepítési tervek környezeti hatástanulmányt is tartalmazzanak, és biztosítani kell a széles körű hozzáférhetőségüket. A Felek kötelesek előre értesíteni a Megállapodás Titkárságát az 1. táblázatban felsorolt populációkat érintő visszatelepítési programokkal kapcsolatban. 2.5.1. A Felek, amennyiben szükségesnek ítélik, minden olyan nem őshonos állat- és növényfaj betelepítését megtiltják, amely káros hatással lehet az 1. táblázatban felsorolt populációkra. 2.5.2. A Felek, amennyiben szükségesnek ítélik, megelőző óvintézkedéseket tesznek annak érdekében, hogy a fogságban tartott, nem őshonos madarak véletlen kiszabadulását elkerüljék. 2.5.3. A Felek, amennyiben szükséges és lehetséges, a területükre már betelepült nem őshonos fajok vagy azok hibridjei kapcsán intézkedéseket tesznek - ideértve azok elejtését is - annak érdekében, hogy az 1. táblázatban felsorolt populációk ne kerüljenek veszélybe. 3.1.1. A Felek - lehetőség szerint az illetékes nemzetközi szervezetekkel együttműködésben - kötelesek létrehozni és megjelentetni azon élőhelyek országos leltárát, amelyek az 1. táblázatban felsorolt populációk számára fontosak. 3.1.2. A Felek kiemelten fontos feladata az 1. táblázatban felsorolt populációk szempontjából nemzetközi vagy országos jelentőségű élőhelyek meghatározása. 3.2.1. A Feleknek törekedniük kell egyrészt további területek védetté nyilvánítására, hogy megvédjék az 1. táblázatban felsorolt populációk szempontjából fontos élőhelyeket, másrészt az ezekre a területekre vonatkozó kezelési tervek kidolgozására és végrehajtására. 3.2.2. A Feleknek törekedniük kell mindazon vizes területek fokozott védelmére, amelyek nemzetközi szempontból fontosak. b) ezekről a hatályban lévő rendelkezésekről, iránymutatásokról és ellenőrző intézkedésekről, valamint ezeknek a társadalom, illetve az élővilág számára való előnyeiről a megfelelő nyelven tájékoztató anyagokat készítenek és tesznek közzé. 3.2.4. A Felek törekednek egy, az ökoszisztéma egészének megközelítéséből történő stratégia kidolgozására az 1. táblázatban felsorolt populációk élőhelyeinek védelme érdekében, beleértve a felaprózódott állományok élőhelyeit is. A Felek törekednek arra, hogy ahol csak módjuk és lehetőségük van rá, ott helyreállítsák azokat az élőhelyeket, amelyek korábban fontosak voltak az 1. táblázatban felsorolt populációk szempontjából. 4.1.1. A Felek együttműködnek, hogy saját vadászati törvényeik megfeleljenek az ezen Cselekvési Tervben kitűzött fenntartható használat alapelvének, figyelembe véve az érintett vízimadár-populációk teljes elterjedési területét és biológiájuk sajátosságait. 4.1.2. A Felek tájékoztatják a Megállapodás Titkárságát az 1. táblázatban felsorolt populációk vadászatát érintő jogszabályaikról. 4.1.3. A Felek együttműködnek abban, hogy megbízható és összehangolt módszert dolgozzanak ki a terítékek adatainak összegyűjtésére, hogy fel lehessen becsülni az 1. táblázatban felsorolt populációk elejtett egyedeinek számát. Minden egyes populációra vonatkozólag tájékoztatják a Megállapodás Titkárságát az éves összesített terítékről, amennyiben azok rendelkezésükre állnak. 4.1.4. A Felek törekednek arra, hogy 2000-ig az ólomsöréttel történő vadászat a vizes területeken szűnjön meg. 4.1.5. A Felek kidolgozzák és végrehajtják azokat az intézkedéseket, amelyek visszaszorítják - és amennyire lehetséges, meg is szüntetik - a mérgezett csalétkek használatát. 4.1.6. A Felek kidolgozzák és végrehajtják azokat az intézkedéseket, amelyek visszaszorítják - és amennyire lehetséges, meg is szüntetik - az illegális zsákmányolást. 4.1.7. A Felek szükséges esetben támogatják a vadászok azon törekvéseit, hogy klubokat vagy más szervezeteket hozzanak létre helyi, országos vagy nemzetközi szinten, amelyek koordinálják a tevékenységüket és segítenek a fenntarthatóság biztosításában. 4.1.8. A Felek szükséges esetben elősegítik vadászatismereti vizsga kötelezővé tételét, amely többek között madárfajok meghatározását is tartalmazza. 4.2.1. A Felek támogatják ahol indokolt - kivéve a védett területek magterületeinek esetét - valamennyi érdekelt fél közötti együttműködési programok kidolgozását a természet iránt érzékeny és megfelelő ökoturizmus kifejlődése céljából azokon a vizes területeken, ahol az 1. táblázatban felsorolt populációk koncentráltan előfordulnak. 4.2.2. A Felek, együttműködve az illetékes nemzetközi szervezetekkel, törekednek arra, hogy felbecsüljék az ökoturizmusból eredő költségeket, előnyöket és egyéb következményeket azokon a kiválasztott vizes területeken, ahol az 1. táblázatban felsorolt populációk egyedei jelentősebb számban előfordulnak. Az eredményeket továbbítják a Megállapodás Titkársága felé. 4.3.1. A Felek felbecsülik azon tervezett tevékenységek hatásait, amelyek összeütközéshez vezethetnek az 1. táblázatban felsoroltak közül a 3.2. bekezdés által megnevezett területeken lévő populációk, illetve az emberi érdekek között, az elért eredményeket pedig közzé teszik. 4.3.2. A Felek törekednek az 1. táblázatban felsorolt populációk által okozott - elsősorban mezőgazdasági károkról szóló információk összegyűjtésére, a kapott eredményeket pedig jelentik a Megállapodás Titkársága felé. 4.3.3. A Felek együttműködnek, hogy meghatározzák az 1. táblázatban felsorolt populációk által okozott károk lehető legkisebbre csökkentésére vagy a káros - különösen mezőgazdasági - hatások mérséklésére alkalmas módszereket, a más országokban szerzett tapasztalatok felhasználásával. 4.3.4. A Felek együttműködnek fajokra vonatkozó egyedi cselekvési tervek kidolgozásában azokra a populációkra vonatkozóan, amelyek - elsősorban a mezőgazdaságban - jelentős károkat okoznak. A Megállapodás Titkársága koordinálja e tervek kidolgozását és összehangolását. 4.3.5. A Felek, amennyire lehetséges, az 1. táblázatban felsorolt populációkat érő káros hatások lehető legkisebbre csökkentése érdekében szigorú környezetvédelmi előírásokat biztosítanak mind a tervezésre, mind pedig a kivitelezésre vonatkozólag. Tanácsos lépéseket tenni annak érdekében is, hogy a már létező és az érintett populációkat károsító létesítmények hatásait a lehető legkisebbre csökkentsék. 4.3.6. Ahol az emberi zavarás veszélyezteti az 1. táblázatban felsorolt populációk védelmi helyzetét, a Felek törekednek arra, hogy a veszélyeztetés mértékét intézkedéseikkel csökkentsék. Ilyen megfelelő intézkedés lehet egyebek mellett védett területeken olyan zavarásmentes övezet kialakítása, amelynek látogatása a nagyközönség számára nem engedélyezett. 5.1. A Felek törekednek olyan kevéssé ismert területek felmérésére, ahol az 1. táblázatban felsorolt populációk egyedei jelentősebb koncentrációban előfordulhatnak. Ezen felmérések eredményeit közzéteszik. 5.2. A Felek törekednek az 1. táblázatban felsorolt populációk monitorozására. Ennek eredményeit nyilvánosságra hozzák vagy eljuttatják az illetékes nemzetközi szervezetekhez, hogy az állományhelyzetet és állományalakulást áttekinthessék. 5.3. A Felek együttműködnek, hogy a populációk helyzetének jellemzése szempontjából alapvető állományváltozások mérését - mint e populációk helyzetének jellemzésére szolgáló szempontot - továbbfejlesszék. 5.4. A Felek együttműködnek az 1. táblázatban felsorolt összes populáció vándorlási útvonalának meghatározása érdekében, egyrészt a költési és a költésen kívüli időszakok előfordulási, valamint számlálási adatainak felhasználásával, másrészt pedig összehangolt gyűrűzési programokkal. 5.5. A Felek törekednek arra, hogy az 1. táblázatban felsorolt populációk ökológiájával, populációdinamikájával és élőhelyeivel kapcsolatban közös kutatásokat kezdeményezzenek és támogassanak azok sajátos igényei, továbbá a védelmük és a kezelésük szempontjából legmegfelelőbb eszközök meghatározása céljából. 5.6. A Felek törekednek arra, hogy felmérjék a vizes területek csökkenésének, romlásának és a zavarásoknak a hatásait egyrészt az 1. táblázatban felsorolt populációk által használt vizes területek eltartó képességére, másrészt e populációk vonulási mintájára. 5.7. A Felek törekednek arra, hogy felmérjék egyrészt a vadászat és a kereskedelem káros hatásait az 1. táblázatban felsorolt populációkra, másrészt pedig ezen tevékenységek fontosságát mind a helyi, mind a nemzetgazdaságban. 5.8. A Felek törekednek arra, hogy együttműködjenek az érintett nemzetközi szervezetekkel és támogassák a kutatási és a monitorozási tevékenységeket. 6.1. A Felek szükség szerint továbbképzést tartanak abból a célból, hogy a Cselekvési Terv végrehajtásáért felelős személyek megfelelő ismeretekkel rendelkezzenek annak hatékony megvalósításához. 6.2. A Felek együttműködnek egymással és a Megállapodás Titkárságával is a továbbképzések kidolgozása és az ismeretanyagok cseréje terén. 6.3. A Felek törekednek arra, hogy kidolgozzanak olyan programokat, ismeretterjesztési anyagokat és módszereket, amelyek segítségével jobban megismerheti a nagyközönség a Cselekvési Terv célkitűzéseit, előírásait és tartalmát. Különös figyelmet kell fordítani a fontosabb vizes területeken vagy azok közvetlen környékén élő lakosságra, e vizes területek használóira (vadászok, halászok, turisták stb. ), valamint a helyi hatóságokra és más döntéshozókra. 6.4. A Felek törekednek tömegtájékoztatási akciósorozatok kezdeményezésére az 1. táblázatban felsorolt populációk védelme érdekében. 7.1. A Felek a Cselekvési Terv végrehajtása során indokolt esetben elsőbbséget biztosítanak az 1. táblázat A oszlopában felsorolt populációknak. 7.2. Amennyiben az 1. táblázatban felsorolt populációk esetében egyazon fajnak több populációja is előfordul egy adott ország területén, akkor az illetékes Félnek a legkedvezőtlenebb helyzetben lévő populációra érvényes védelmi intézkedéseket kell alkalmaznia. g) a betelepített, nem őshonos fajok és hibridjeinek a helyzete. 7.5. A Megállapodás Titkársága biztosítja, hogy a 7.4. bekezdésben említett felülvizsgálatok legfeljebb 3 évenként korszerűsítve legyenek. 7.6. A Technikai Bizottság értékeli a 7.3. és 7.4. bekezdés szerint elkészített irányelveket és felülvizsgálatokat, valamint kidolgozza a fejlesztésükre, tartalmukra és végrehajtásukra vonatkozó ajánlások és határozatok tervezeteit a Felek Konferenciája számára. 7.7. A Megállapodás Titkársága rendszeres időközönként felülvizsgálja az Cselekvési Terv végrehajtásához szükséges, további támogatásokat biztosító lehetséges megoldásokat (pénzalapok, technikai segítség), valamint jelentést készít a Felek Konferenciájának üléseire. c) 10 000-nél kevesebb egyedből álló populációk. 2. Csoport: 10 000 és 25 000 közötti egyedszámú populációk. d) jelentős populációméret vagy trend fluktuációkat mutatnak. A 2. és 3. csoportokban feltüntetett fajok esetében lásd e Melléklet 2.1.1. bekezdését. 1. Csoport: 100 000 egyed feletti populációk, melyek számára a nemzetközi összefogás igen jó hatást gyakorolna és melyek a fenti A és B oszlopok kitételeit nem elégítik ki. b) Módosítani kell szükség szerint a Felek Találkozója által a Megállapodás VI. Cikk 9. d) bekezdése szerint a felülvizsgálat megállapításainak fényében. Észak-Afrika Algéria, Egyiptom, Líbia, Marokkó, Tunézia. Nyugat-Afrika Benin, Burkina Faso, Kamerun, Csád, Elefántcsontpart, Gambia, Ghána, Guinea, Guinea-Bissau, Libéria, Mali, Mauritánia, Niger, Nigéria, Szenegál, Sierra Leone, Togo. Kelet-Afrika Burundi, Djibouti, Eritrea, Ethiópia, Kenya, Rwanda, Szomália, Szudán, Uganda, Tanzánia. Északkelet-Afrika Djibouti, Egyiptom, Eritrea, Ethiópia, Szomália, Szudán. Dél-Afrika Angola, Botswana, Lesotho, Malawi, Mozambik, Namíbia, Dél-Afrikai Köztársaság, Sváziföld, Zambia, Zimbabwe. Közép-Afrika Kamerun, Közép-Afrikai Köztársaság, Kongó, Kongói Demokratikus Köztársaság, Egyenlítői Guinea, Gabon, Sao Tome és Principe. Szaharától délre lévő Afrika Valamennyi, a Szaharától délre fekvő afrikai állam. Trópusi Africa Szaharától délre lévő Afrika, Lesotho, Namíbia, Dél-Afrikai Köztársaság és Sváziföld kivételével. Nyugati Palearktikum A Handbook of the Birds of Europe, the Middle East and North Africa (Cramp & Simmons 1977) című könyvben meghatározott terület. Északnyugat-Európa Belgium, Dánia, Finnország, Franciaország, Németország, Izland, Írország, Luxembourg, Hollandia, Norvégia, Svédország, Nagy-Britannia és Észak-Írország Egyesült Királyság. Nyugat-Európa Északnyugat-Európa, valamint Portugália és Spanyolország. Északkelet-Európa Oroszország Uráltól nyugatra fekvő területeinek északi része. Kelet-Európa Belorusszia, Oroszország Uráltól nyugatra fekvő területei, Ukrajna. Közép-Európa Ausztria, Csehország, Észtország, Németország, Magyarország, Lettország, Liechtenstein, Litvánia, Lengyelország, Oroszországnak a Finn-öblöt övező része és Kaliningrád, Szlovákia, Svájc. Észak-Atlanti térség Feröer-szigetek, Grönland, Izland, Írország, Norvégia, Oroszország északnyugati partvidéke, Svalbard, Nagy-Britannia és Észak-Írország Egyesült Királyság. Kelet-Atlanti térség Európa és Észak-Afrika atlanti partvidéke Észak-Norvégiától Marokkóig. Nyugat-Szibéria Oroszország az Uráltól keletre a Jenyiszej-folyóig és délre Kazaksztán határáig. Közép-Szibéria Oroszország a Jenyiszej-folyótól a Tajmír-félsziget keleti határáig, és délre az Altáj-hegységig. Nyugat-Mediterráneum Algéria, Franciaország, Olaszország, Málta, Monaco, Marokkó, Portugália, San Marino, Spanyolország, Tunézia. Kelet-Mediterráneum Albánia, Bosznia és Hercegovina, Horvátország, Ciprus, Egyiptom, Görögország, Izrael, Libanon, Líbia, Szlovénia, Szíria, Macedónia, Törökország, Jugoszlávia. Fekete-tenger Örményország, Bulgária, Grúzia, Moldova, Románia, Oroszország, Törökország, Ukrajna. Kaszpi-térség Azerbajdzsán, Irán, Kazaksztán, Oroszország, Türkmenisztán, Üzbegisztán. Délnyugat-Ázsia Bahrain, Irán, Irak, Izrael, Jordánia, Kazaksztán, Kuwait, Libanon, Omán, Qatar, Szaud-Arábia, Szíria, Kelet-Törökország, Türkmenisztán, Egyesült Arab Emirátusok, Üzbegisztán, Jemen. Nyugat-Ázsia Oroszország Uráltól keletre fekvő területeinek nyugati része és a Kaszpi-térség országai. Közép-Ázsia Afganisztán, Kazaksztán, Kirgizisztán, Tadzsikisztán, Türkmenisztán, Üzbegisztán. Dél-Ázsia Bangladesh, Bhután, India, Maldív-szigetek, Nepál, Pakisztán, Srí Lanka. ( ): Populáció helyzete ismeretlen. Becsült természetvédelmi helyzet. 1. Az 1. táblázat összeállításához felhasznált populációs adatok a lehető legnagyobb mértékben megfelelnek a lehetséges költőállomány egyedszámával a Megállapodás területén. A státuszt a rendelkezésre álló legjobb publikált populációbecslési adatok alapján határozták meg. 2. Az egyes területeknél megadott rövidítések (fész.) vagy (tel.) pusztán a populációk meghatározásához nyújtanak segítséget. Nem jelentenek évszakos korlátozást az intézkedésekkel kapcsolatban a populációk esetében a Megállapodáson és az Akcióterven belül. 3. A rövid leírások, melyek az egyes populációk meghatározását szolgálják, a Vízimadár Populáció Becslések (Waterbird Population Estimates) című kiadvány 3. kiadásán alapulnak. 4. Per jelek (/) választják el a költőterületeket a telelőterületektől. 5. Amennyiben egy faj populációja az 1. táblázat több oszlopában is szerepel, a legszigorúbb kategória alapján vonatkoznak rá a Cselekvési Terv előírásai. 4. § Ez a törvény a kihirdetése napján lép hatályba, azonban rendelkezéseit 2003. március 1-jétől kell alkalmazni. Table 1, „Status of the populations of migratory waterbirds” forms part of te Action Plan contained in Annex 3 to the Agreement. Az 1. táblázat, „A vándorló vízimadarak populációinak helyzete” a Megállapodás 3. Mellékletében szereplő cselekvési terv részét képezi.